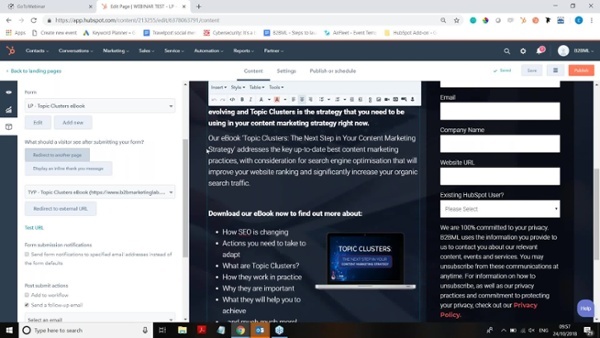 This webinar will cover everything from creating a basic form to generating leads via your website, to implementing progressive profiling and dependent form fields across your website. Join us to ensure you're constantly building a bigger profile of all of your potential customers moving forwards. 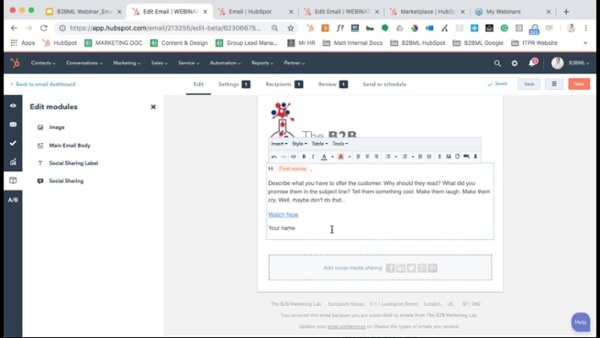 What are the different email options available within HubSpot, why do you need each version and what steps should you take to ensure you're building emails that align with best practice? 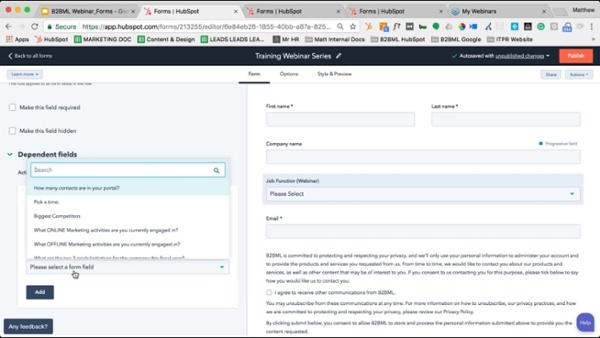 Join our webinar to become a pro at building HubSpot webinars. 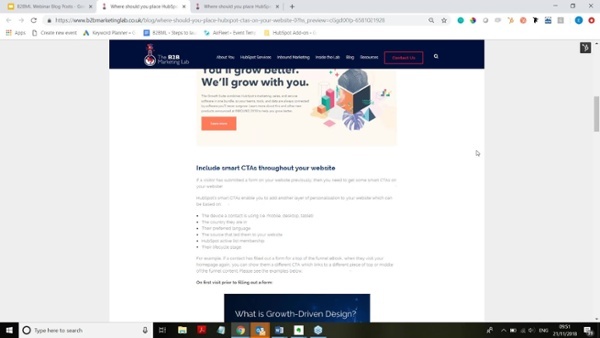 CTAs can be used for a variety of reasons in HubSpot, from providing a link from a webpage to a landing page, as well as actually providing a visitor with some content they've requested - our webinar will run through the different ways you can build standard and smart CTAs. A landing page is so much more than just some text and form. Our webinar will deep dive into the main components of a landing page, as well as hints and tips on how to ensure you're generating conversion rates of 40% upwards! 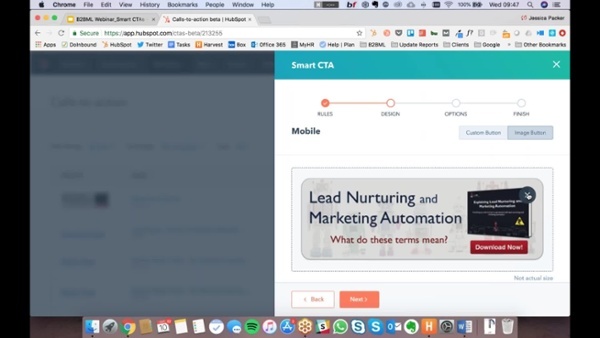 Are you using the HubSpot social tools currently? Come and join our webinar to understand some hidden treasures to ensure you can manage your social media in under 30 minutes per day. 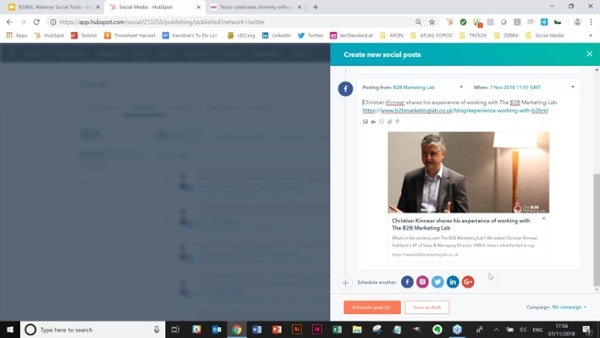 This webinar will take you through exactly how to build beautiful blog posts that make your visitors engage with the content and convert from visitors to leads. 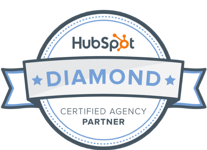 Our team will cover everything there is to know about a successful blog post in HubSpot. 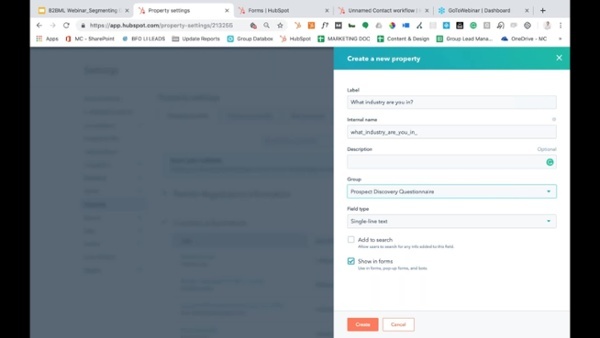 There are so many different ways to use HubSpot workflows, but this webinar will focus on how you can use workflows to manage your lead process. From changing lifecycle stages, to contact owners, and much, much more! What is lead scoring? 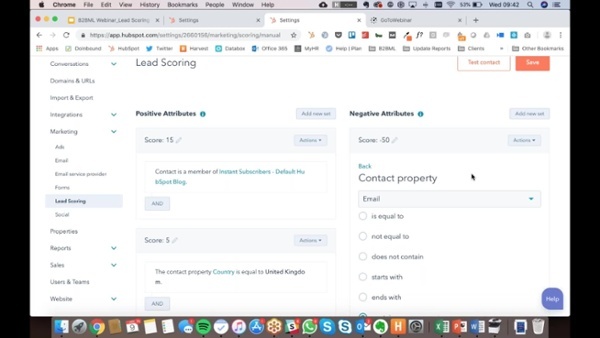 How can you improve your lead management with lead scoring and how do you actually set it up in your HubSpot portal? Join our webinar to find out how to start properly prioritising your leads! 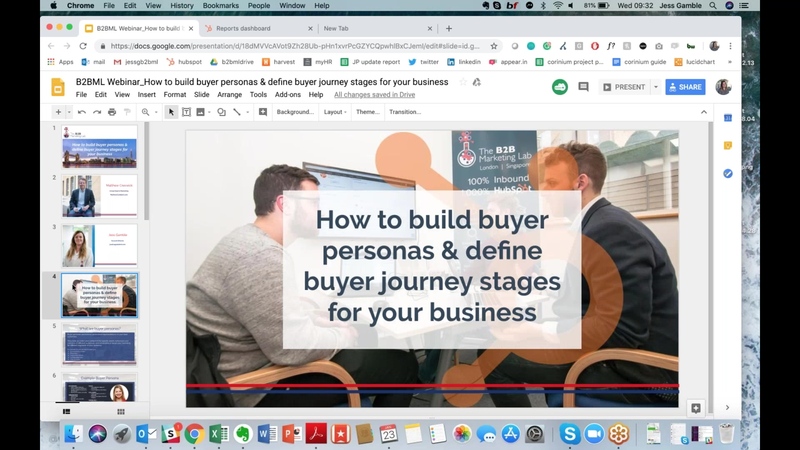 Building your buyer personas and defining your buyer journey stages is absolutely key to Inbound Marketing success. Come and join our webinar to find out how to ensure your content is resonating with the right leads at the right time. If you're just 'thinking' of blog posts and content ideas for your content strategy - you need to join our webinar! 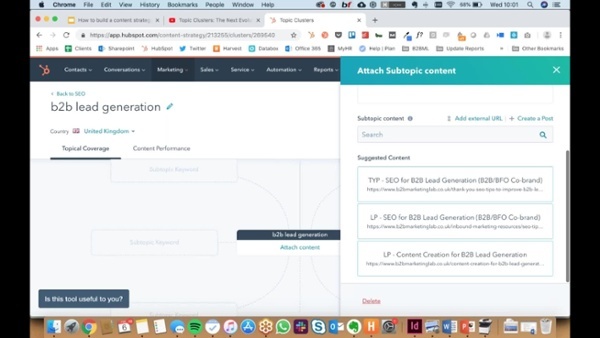 Come and learn not only how to build a proper 2019 content strategy, but also how to use HubSpot's content tool to help you. 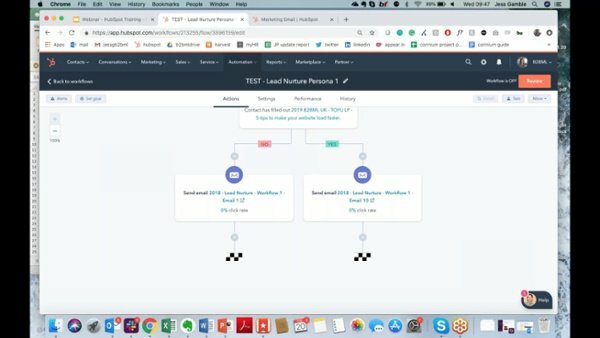 Once you have learned how to use HubSpot's marketing automation workflows to manage your lead process - this webinar will focus on how you can use workflows to actually engage with your leads - don't miss out! Segmenting your database can help you send targeted messages to the right contacts at the right time. Sounds good? 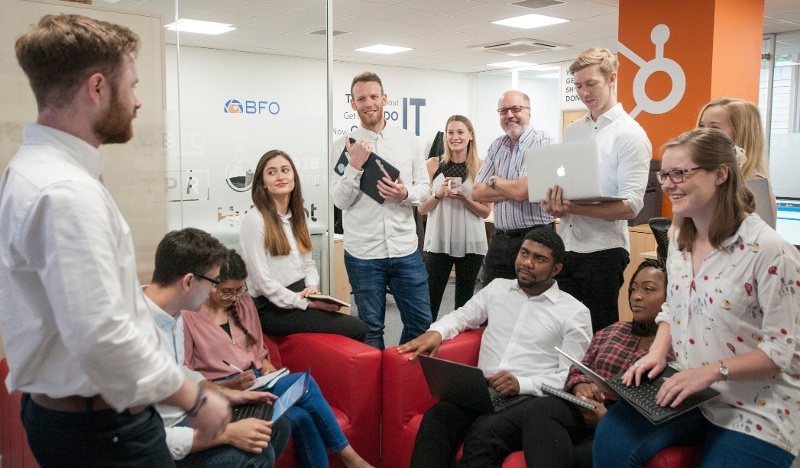 Come and join our webinar to understand how you can efficiently be contacting your leads and get them to engage with you. Optimising your blog comes in different forms. From the optimisation to ensure that Google can rank your blog high in it is search rankings, through to optimising the user journey and ensuring it is easily digestible - there's lots of things to consider. When used correctly, pop-up forms can be fantastic ways of driving conversions on your top website pages. When used incorrectly, they can be a distraction and annoyance if used out of context. 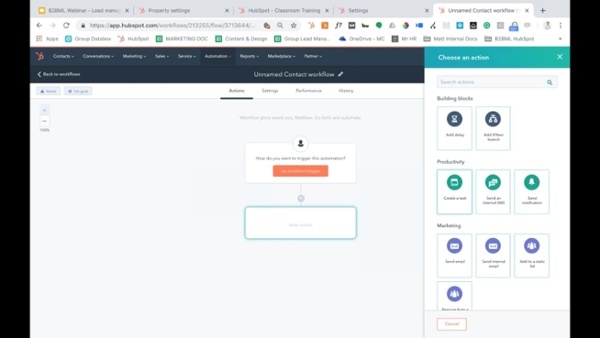 We go through when to use pop-up forms, and how to build them in the HubSpot tool.